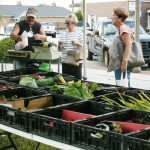 The Dillon County Health Initiative (DCHI) will be sponsoring their second Pop Up Farmers Market on Thursday, September 21. As initial damage assessments and cleanup begin after Hurricane Irma’s impact on South Carolina, farmers throughout the state hope to experience minimal crop damage and infrastructure loss. With the mere size of Hurricane Irma, a large portion of the state’s 25,000 farmers may be negatively impacted. The farm economy has been in a holding pattern for years now, and managing for the future is more important than ever. On his family farm in the Shenandoah Valley, Marty Kable has had to make some tough decisions. 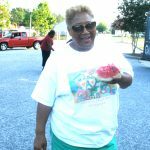 The Dillon County Health Initiative held a Pop-Up Farmers Market last Thursday. 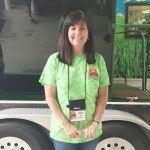 Dillon County teacher Laura Britt was among fifty educators from across the South Carolina who recently learned how to bring agriculture into their classrooms. The U.S. soybean industry is turning a corner. This year, soy acres closed in on corn acres, narrowing the gap between the two crops. The U.S. Department of Agriculture announced today that the nomination period for local Farm Service Agency (FSA) county committees begins on Thursday, June 15, 2017.